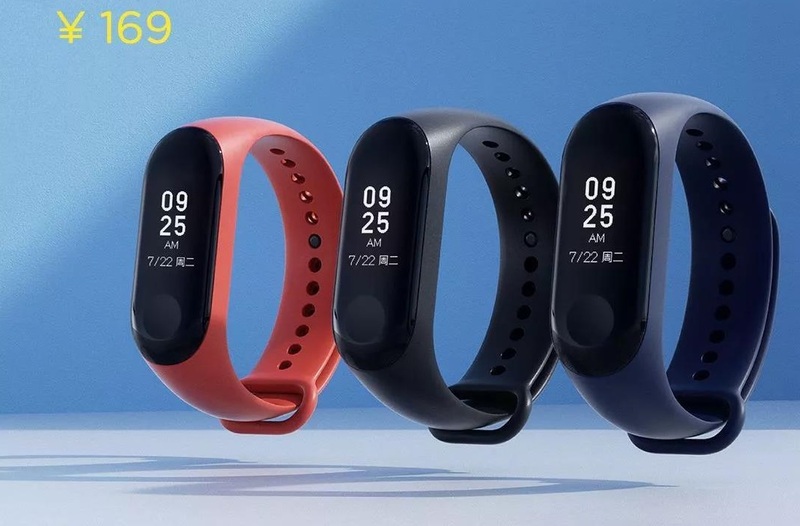 Mi Band 3 Officially Launched, even NFC is now on-board. Xiaomi has been in talks due to the success they have achieved in the fitness wearable space, as a result of which more of their fitness products from the globe are now seen in their Mi-Home spaces present across India. It's been weeks that the officials have been teasing about the launch of their newest devices getting the fans hyped. Well, the hype is real, a total of 6 new products have been announced today. Some of which consists the announcement of Mi 8 SE, Mi 8 Explorer Edition, Mi VR Standalone, Mi Band 3 & Mi TV 4 75-inch. So let's focus on the Mi Band 3 for the moment, a successor to it's already popular Mi Band 2. It keeps all the bells and whistles of the original band and brings in more delicacies to the table. Now let's find out all the details about the Mi Band 3. Features a 0.78 Inch OLED touch panel having 128 x 80 resolution. Comes on-board Bluetooth 4.2 support. There are two variants available - With/Without NFC support. The NFC variant will enable wireless payments, and this is going to be a significant hit. Has 110 mAh Battery, which is almost double than the Mi Band 2. Battery life is expected to last around 20 days as quoted by Xiaomi. 50 meters waterproof which includes swimming. Comes with Heart rate sensor, Step count support & Sleep monitoring. Offer support for answering incoming calls. WeChat messenger and other supported apps would show their notifications along with the content on display. It would support interchangeable straps which would be available in different colors, and you can even expect some third party straps to join the league soon. The Mi Band 3 overall looks promising and looking at the fact that it gets the most requested feature(NFC) is just icing on the top of the cake. The company even claims that they have improved the band straps to provide a secure fit on the wrist. 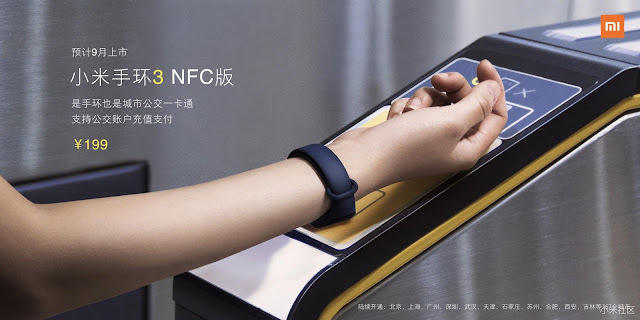 For those who're fond of wireless payments may very well go for the NFC variant, which will cost for CNY 199 or 31.04$. While those who want an update to their existing smart bands, & want the essential features for the fitness tracking can go with the Non-NFC variant. That variant would be available for CNY 169 or 26.36$. It'll be available starting June 5, 2018, in China. There's no word yet on its availability worldwide. Also See: 1More iBFree Earphones Review - Supports Qualcomm's AptX Sound Codec.